It’s been a couple of weeks since Iowa City Brewfest, 2012, and I’ve had some time to reflect on the event. Overall, I was impressed with the high quality of the unique beers, but a bit disappointed by the low number of special beers. For example, in the past, New Belgium and Boulevard brought beers either not yet available or a special barrel-aged beer, but this year both brought their widely available beers, from their Lips of Faith (New Belgium) and Smokestack Series (Boulevard). Overall, it was a very good experience, but with the “Brewmaster” ticket, which has been very valuable in years past, it wasn’t quite as memorable. My only hope is that the larger breweries recognize what a great beer hotspot Iowa City is, and start saving some of those memorable beers for us! 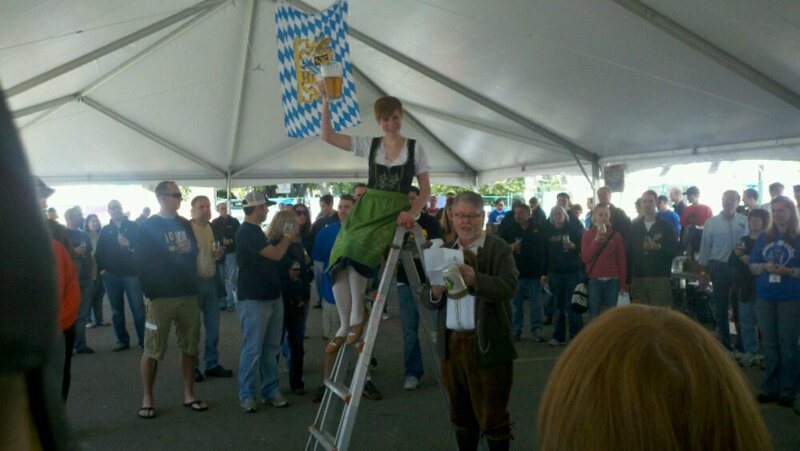 Did you go to the Iowa City Brewfest 2012? What was your take? 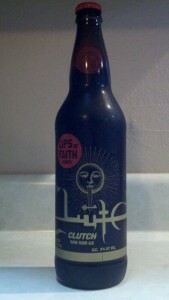 New Belgium has introduced several new beers to the Lips of Faith series. One you may remember I mentioned tasting at the Iowa City Brewfest was a sour brown ale, Clutch. I had the chance to try it in a more controlled environment over the weekend. With the first taste, Clutch has a nice roasted chocolate and coffee flavor, and leaves a slightly sour, not over-the-top, taste in the back of your tongue. The finish also has a slight coffee flavor. I thought it was a great beer that’s very drinkable, and reminds me of New Belgium’s 1554 with slight sourness. Have you tried Clutch? What was your experience? This past weekend was the first Iowa City Northside Octoberfest. 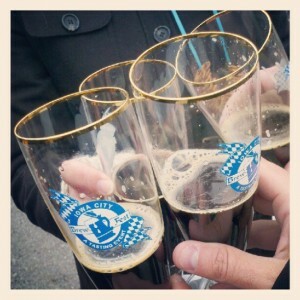 This year, Brewfest was combined with the celebration, to expand the audience of the event. In addition to Brewfest, there was live music, food vendors, and Sodafest for those who wanted to try different sodas. At Brewfest, there were almost 90 different beer vendors with over 400 different beers. 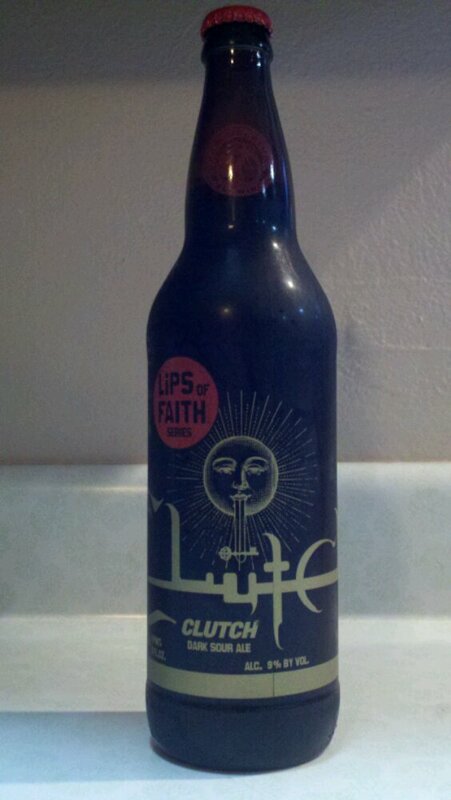 Some of my favorites included two new Lips of Faith Beers from New Belgium: Kick and Clutch. Kick was described as a slightly-sour pumpkin cranberry ale. The beer had a lot of cranberry flavor, but the pumpkin was very light. Clutch was a slightly sour brown ale. It reminded me a bit of New Belgium’s 1554 with a bit of sourness. Look for both these beers in Iowa soon. Also, Peace Tree Brewing had several very nice special beers for the festival, including a bourbon-barrel stout (their Belgo-style Black River Gumbo Stout aged in bourbon barrels), a slightly-funky and a bit sour Cornucopia with Brett yeast, and a light and fruity German-style Kolsch. Did you go to Brewfest 2011? What were some of your favorite beers? 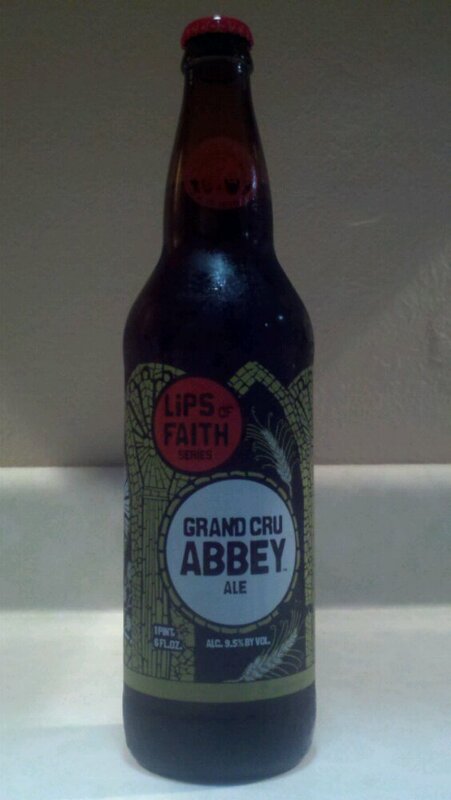 After sampling New Belgium’s Super Cru, I decided to try New Belgium‘s ode to another one of their original beers, the Abbey Ale, in the form of a Grand Cru Abbey Ale. This tribute has more malt, to increase the strength, but the additional sugars keep the body low. The beer had a nice sweet aroma. In the taste, there were some plum and fig flavors with the aftertaste having hints of plums and raisins. There was a little bit of alcohol warming in the finish, but overall was a nice light finish. It was a nice strong abbey ale, and a good tribute to the Abbey Ale. 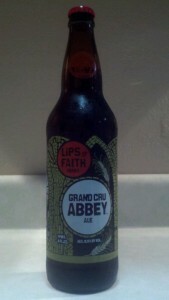 Have you tried the Grand Cru Abbey Ale? What was your take? During the dog days of summer, I’m always looking for strong beers that go down well when it’s hot out. I recently tried the new offering from New Belgium, Super Cru. Super Cru is a strong Belgian ale that was formulated with the same malts as their flagship beer, Fat Tire, but double the quantity. It also included Asian pear juice to strengthen it even more and to lighten the body. Initially, it had a very fruity aroma. With each sip, it slightly tasted like Fat Tire, but the Asian pear juice did lighten it up. The pear juice was very forward in the flavor, and it changed the complexity of the beer. It was a good Belgian strong ale that was light enough to enjoy during the sweltering summer months. 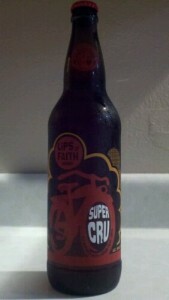 Have you had Super Cru? What was your take?